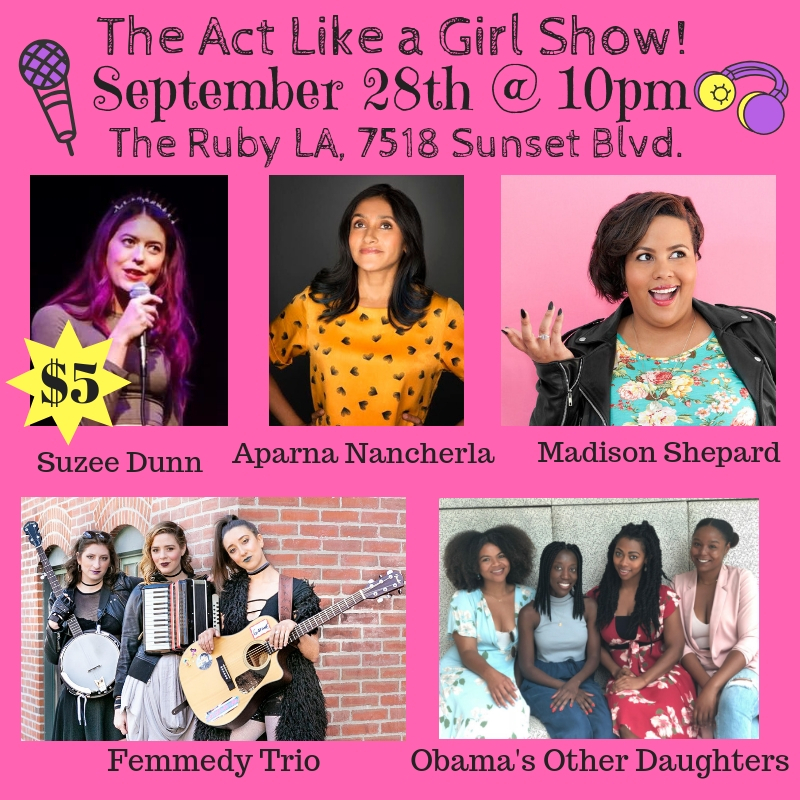 The Act Like a Girl Show 9/28! The Act Like a Girl Show is taking residency at The Ruby LA! We will be 7518 Sunset Blvd. on Friday September 28th at 10pm. Women and non-binary people working their asses off in the industry.